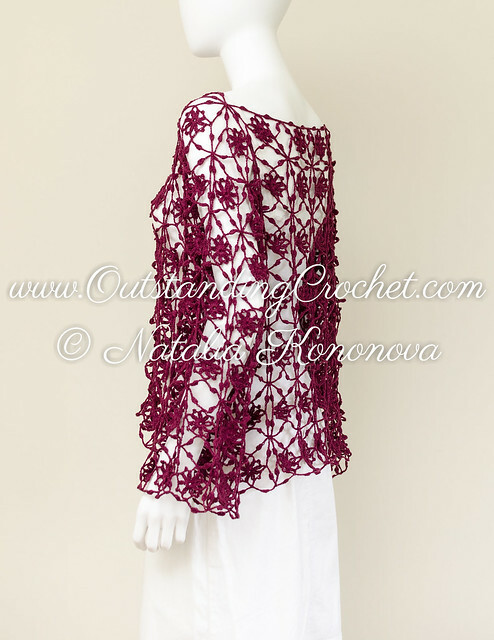 Outstanding Crochet: New crochet pattern in the shops - Seamless Boat Neck Crochet Pullover Sweater / Top Pattern. New crochet pattern in the shops - Seamless Boat Neck Crochet Pullover Sweater / Top Pattern. I am excited to show this new pattern in my shops. What looks like made out of motifs actually made as one piece with connections as you go between "motifs" and for side and sleeve seams. It's shaped loose or over-sized. I personally recommend dark colors to really show this pretty stitch. 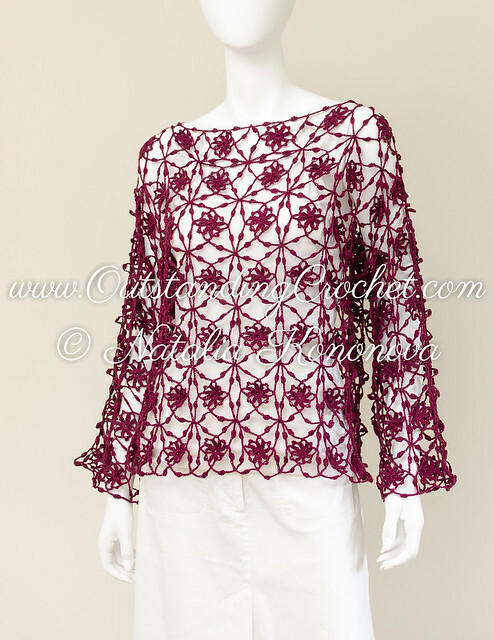 Crochet Seamless Drop Shoulder Open Stitch Sweater / Pullover / Top / Cover Up. 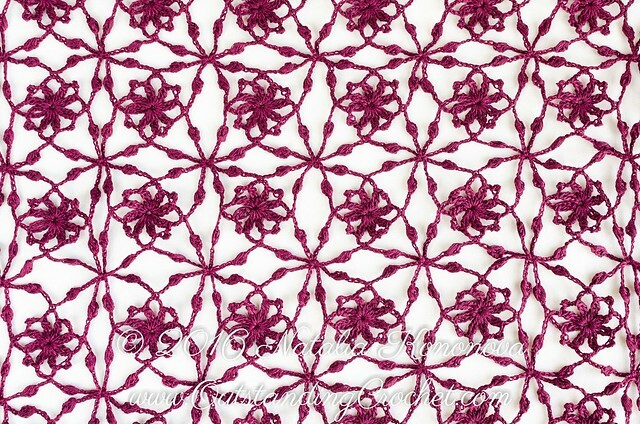 Though the stitch looks like consisted of motifs, there are no motifs; body is made as one piece with connections as you go for side seams. Sleeves are started from the body and made as one piece each with connection as you go for seams. Esse é um trabalho magnífico! Muito delicado!